that's a fact, and while this story isn't fact, it stems from reality a hard, cold cruel reality that this happens in the world that we exist in...it's a thing people a serious, scary, horrible, violent thing and if violence isn't your thing and by that I mean if it's a trigger for you than as much as this book dug into my heart and soul I'm going to suggest you think long and hard before reading it...actually I'm going to suggest that you may want to take a pass on this one. While I don't seem to have any 'triggers' that doesn't mean that there aren't things that will keep me up at night and I'm pretty sure that this will be one of them. This is "NOT" a romance. But it is Gray's story or the beginnings of it. We first met Gray in previous books that were from or connected to the Camassia Cove series. Gray is Abel's best friend and had a pretty significant role in Abel and Madigan's story...'Power Play' which is where I came to really like him. I'm not saying there won't be caring and feelings but this is so not a typical or even an atypical love story. This is a story about strength, courage and survival. It's about the evil that's out there in the world and while the story itself is fiction the reality of what it's about isn't...so this one's definitely not for the feint of heart. It's dark and disturbing and left me feeling a little sick because the fact that this kind of thing happens in the world we live in is more than a little disturbing. While the violence wasn't downplayed by any means I appreciated that it also wasn't portrayed with an excess of description. It's a fine line to walk between what's not enough, what's enough and when things have gone to far and I have to say for me the author did a pretty impressive job of walking that line. While we're not give excessive descriptions of the violence what we are given is enough to engage the imagination and sometimes it's what the mind imagines that can be so much scarier than words on a page. So you've been warned this is not a light and fluffy story and it can be disturbing and having said all that I have zero regrets that I read this book. It's an incredibly well told story about a subject that shouldn't be ignored. Once again Cara Dee has dared to go where many wouldn't and she's done it without glossy, rose colored glasses. There were victims, survivors and heroes and yes, Darius was among the heroes in this story but I have the feeling that wasn't always the case. I have a sneaky suspicion that Darius has in the past been a victim as well. Gray and Cole were also victims but in the end we saw that they rose to the occasion and were heroes as well. But hero or victim...these men were all survivors and while someone can become a hero in an instant being a survivor comes from enduring getting back up no matter how many times you've been knocked down...never giving up. This is also a story that makes a person want to take a look at their own moral compass just to be sure that it's pointing in the right direction to where you want to go. While the subject of this story might make many a person squirm in their chair there was also a relationship starting...a relationship that is trying to establish itself under less than ideal circumstances so needless to say it's gotten off to a very slow start and for those of us who didn't get enough of these two men...there will be more and I honestly can't wait to see what's next for Gray and Darius. 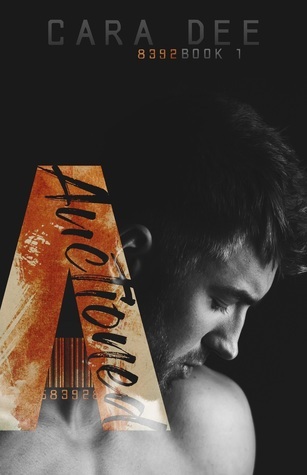 An ARC of 'Auctioned' was graciously provided by the author in exchange for an honest review. Buylinks are provided as a courtesy and do not constitute an endorsement of or association with this book, author or booksellers listed.